The power grid is now more dynamic than ever before! Newer tools are increasingly developed to manage the grid better. 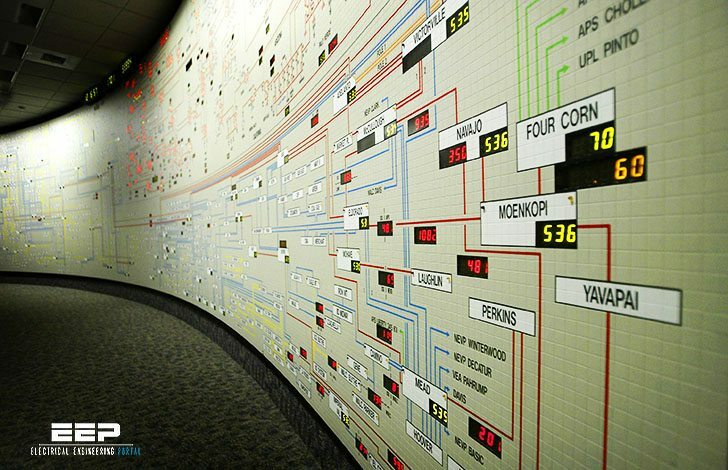 Renewable energy sources are changing power system characteristics at a time when utilities are also focusing on improving customer service and resiliency of the grid – by using advanced monitoring and control technologies! Synchrophasor technologies are being rapidly deployed to provide high-speed, high-resolution measurements from phasor measurement units (PMUs) across the transmission systems as a tool for monitoring and post fault analysis which may lead to real-time control using PMU data in near future. In addition, communication technologies are advancing and related international standards are maturing to be deployed in substation environment. Renewed attention is required on protection and control strategies that build upon the available and emerging technologies backed by a cost analysis that can be used to support a long-term value proposition. 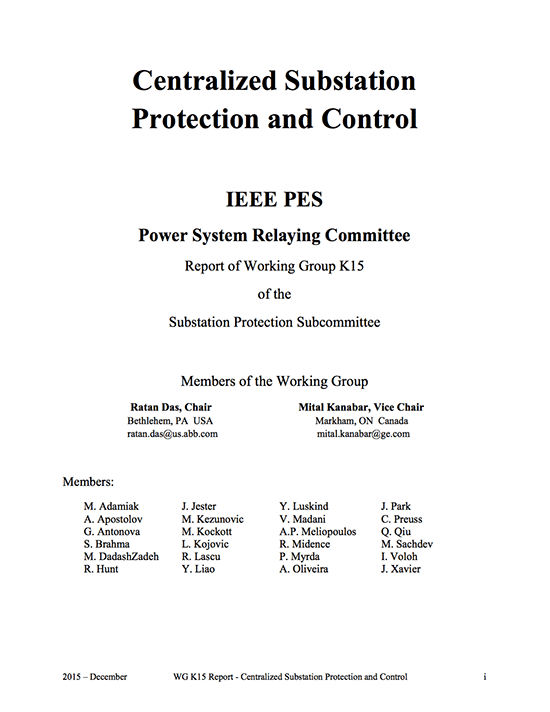 To explore improved utilization of present technologies and chart the development of the next generation Protection and Control (P&C) technologies, the IEEE Power System Relaying Committee has formed a working group to prepare a report. This report is describing and analyzing the state-of-the-art technologies for centralized protection and control (CPC) within a substation. This report starts by reviewing the advancements in substation protection and control technology. Next the report describes centralized protection and control and reviews its history. Then the report reviews some of the existing technologies that can support it. Following this discussion is a review of some emerging technologies supporting high-speed communication with high degree of reliability. The report then proposes possible centralized protection and control architectures using existing standardized communication technologies. 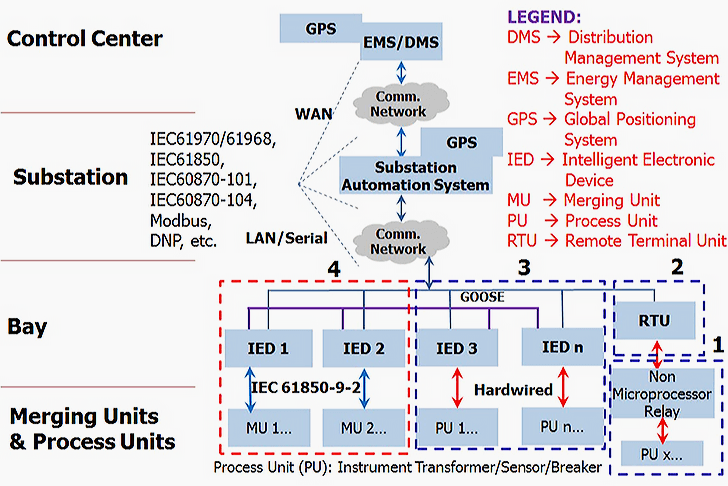 It also provides an example of such a system with a typical substation configuration. The report then discusses reliability and cost analysis for these centralized protection and control architectures. Addresses testing and maintenance aspects and discusses advanced applications that are either not possible or difficult to implement without CPC. This websites is very helpful for all electrical practitioners. Thank you for being generous and providing all the technical information in this websites.